'Girl Rising' is a groundbreaking film, directed by Academy Award nominee Richard Robbins, which tells the stories of 9 extraordinary girls from 9 countries, written by 9 celebrated writers and narrated by 9 renowned actresses. 'Girl Rising' showcases the strength of the human spirit and the power of education to change the world. Explore the film in detail at girlrising.com. I love Kickstarter, the world's largest crowd funding platform, whose mission is to bring creative projects to life. I’m constantly amazed at the projects that people think up and often a bit jealous of both their creativity and the determination they show in pursuing funding for their projects. I’ve just backed one such project, entitled ‘The Forbidden Reel’ which will explore the world of Kabul's cinemas in documentary photographs taken by Jonathan Saruk. Cinema was banned under the Taliban but has sputtered back to life since the US invasion 12 years ago. The Forbidden Reel provides an alternative narrative to life in the violence-plagued city, where going to the movies, for many, is an escape from the harsh reality outside. 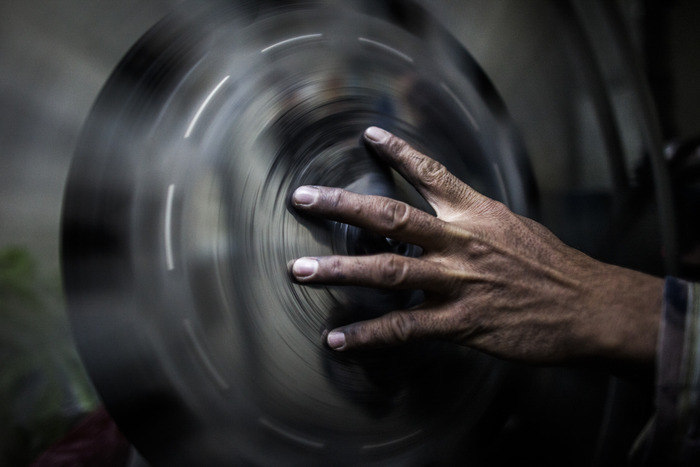 The seed for The Forbidden Reel was planted in Kabul in June, 2009 while Jonathon was photographing a feature on the Mr. Afghanistan body building competition. The event was being held in the Park Cinema in Shawr-e-Naw, a rundown building at the edge of the park which he had never before been inside. He became curious to see it as a functioning movie theater. Unfortunately, he was unable to return to a cinema in the city until a subsequent trip to Afghanistan in the fall of 2010. But when he did, it became clear that the city's cinema culture was a remarkable facet of life in Kabul worth documenting. Over the last ten years remarkable progress has been made in getting more children into school. There has been a surge in primary school enrolments, more children are progressing through to secondary school, and gender gaps in education are narrowing. However, there’s increasing recognition that the learning levels of these very children are still far below expectations. The Global Partnership for Education estimates that approximately 200 million children who are in primary school are learning so little that they are struggling to read basic words. One of the least recognised but most critical barriers to the educational achievement of children in low and middle income countries is the very language in which they are taught. The Washington based Centre for Applied Linguistics estimates that 221 million children worldwide are speakers of local languages not used for teaching. Those children start school, only to find their teachers are speaking to them in a language they don’t understand. Some of them are lucky enough to have teachers who start by communicating with them in their own language, but as soon as written words and numbers are introduced, teachers use a different language. Faced with the prospect of attending classes where their children won’t understand what’s going on, many families elect not to send their children to school at all. Many of those children that make it to school quickly decide it’s not for them and drop out, while others fail their examinations and spend years repeating grades. Whilst national governments often have powerful reasons for choosing a school language that children do not know there is overwhelming evidence that if the language used at school is different from the language children use at home, this can be a major cause of educational failure, wasting precious resources and robbing children of the opportunity to master basic skills. In remote parts of Vietnam, many students from ethnic minorities didn’t like going to school. Conversant only in their local dialects and unable to speak Vietnamese—the official medium of instruction for schools in the country—they found it difficult to understand lessons. Since 2010, more students have been attending school, often arriving early to enjoy local language books available in their new school library, thanks to a project designed to improve the quality of basic education for Vietnam’s ethnic minority children. Funded by the Japanese Social Development Fund and managed by Save the Children and the World Bank the project has two key features which have helped to bridge the language gap. Firstly, locally recruited teaching assistants, who speak the children’s dialect are employed in all classrooms to work alongside state qualified teachers. These bilingual teaching assistants explain lessons to students in the local dialect, ensuring that children have access to what’s being taught. Secondly, the project supports the production of local language reading material, much of which is generated by the teachers and students themselves. Not only is the content of these books in their local language it also reflects their lives and culture making the material more relevant. Teachers report that the children have consequently become enthusiastic readers, motivating them to read, including in Vietnamese in which a wider range of material is available. Applying this principle more broadly, the project has also worked to incorporate more of the children’s minority culture into the education they receive: ethnic costumes, cultural items from festivals and musical instruments are displayed in classrooms, while local history and fun facts about life in the community are used as teaching and learning aids. 6,500 teachers benefited from the project through regular training courses and meetings to exchange knowledge and experience. They also improved their teaching skills by producing customized learning materials. Student enrolment, retention and transitions have all improved. Until we stop using traditional approaches to school language that treat children as if they naturally understand the language of teaching, when they do not, we won’t address the learning crisis in which millions of children in school currently fail, among other things, to read. Along with the example from Vietnam there are other well documented approaches which give children from linguistic minorities access to quality schooling without damaging their education or their linguistic rights and heritage. Save the Children has been working to strengthen mother tongue based multilingual education for many years and has produced various reports and detailed guidance to help schools in low- and middle-income countries respond to children’s language needs. A version of this post was published on the Education for All blog. Octavia Hill writing a letter by Quentin Blake which appears in the Demos pamphlet. 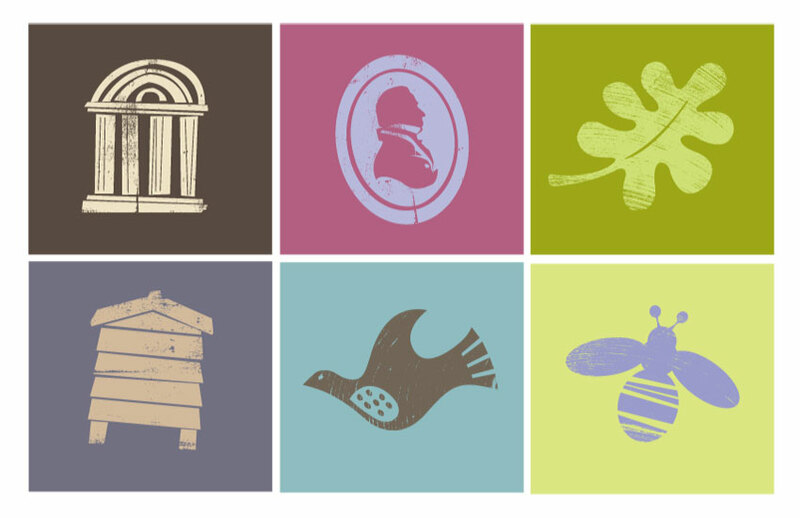 In follow up to the post in which I shared designs for the National Trust new packaging I discovered an interesting collection of essays which was published by Demos on the centenary of Octavia Hill's death last year. 'The Enduring Relevance of Octavia Hill' examines Octavia Hill’s work as a starting point for thinking afresh about how to address the challenges facing society today. It brings together a diverse range of contributors: experts on heritage sit alongside specialists in housing, and there are essays on patriotism, nature, aesthetics, volunteering, craft and more. The lasting lesson is to think anew: to see the links that exist but are buried and the connections that have never been made. I’m a huge fan and dedicated member of the UK’s National Trust. Founded in 1895, with the aim of saving the nation's heritage and open spaces. 118 years later, it’s still working hard to uphold those values. Europe’s largest voluntary conservation organisation, the Trust looks after historic houses, gardens, mills, coastline, forests, farmland, moorland, islands, castles, nature reserves, villages... and pubs. And then rather crucially opens them for people to visit. The Trust has something of an unfair reputation as a bastion of conservatism but in fact its actually always been a pretty progressive organisation. It’s Founder, Octavia Hill was a tireless social reformer whose influence can be felt in the streets of Marylebone and Southwark in the housing she managed, just as on Hampstead Heath and in the Lake District it can be felt in the open spaces she protected. 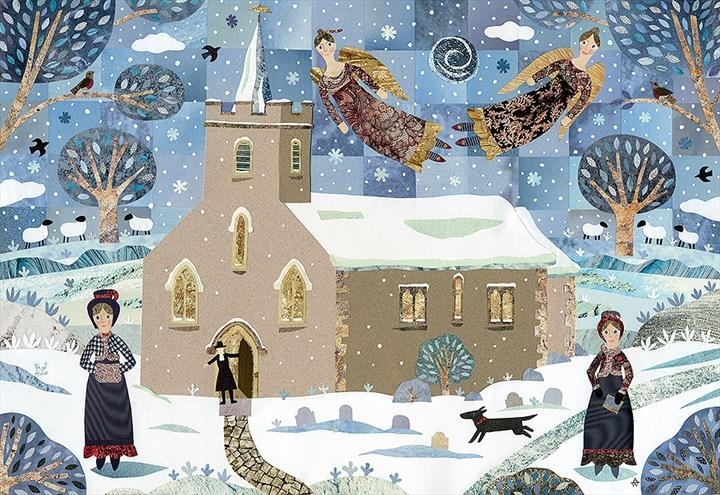 The Trust emerged from her fundamental conviction that the poor deserved equal cultural and aesthetic opportunities as the rich, but that people had also to put the effort in. The Trust continues to play an important role in democratising access to the UK’s built and natural environment and there’s little that unites quite so may people in the UK as their affection for a day at a Trust owned stately home or Trust managed beach. 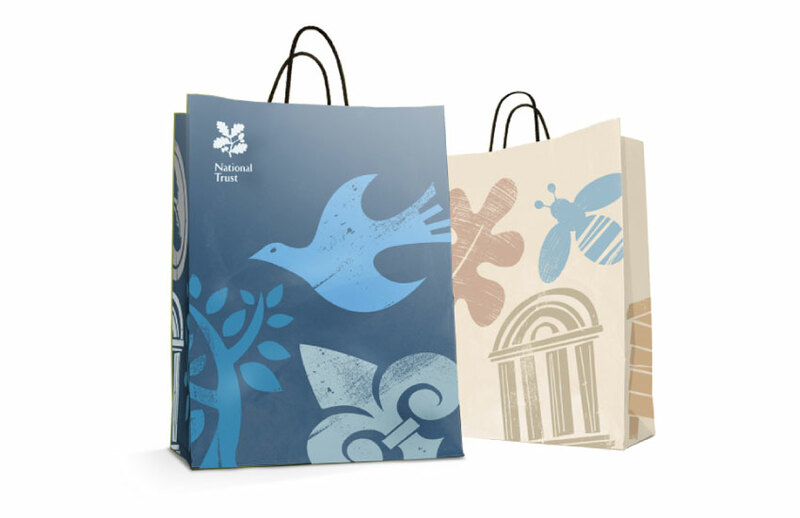 So the modernising continues with the redesign of the Trust’s packaging for their entire retail range. The designer’s – Studio h - brief was to refresh public perception and bring coherence to a hugely diverse product range. With over 3.8 million members, 18 million visitors a year and 250 gift shops, it was important that the redesign was engaging and contemporary whilst reflecting their culture and heritage. I love what they’ve come up with, which really seems to capture what I feel is the spirit of the trust and its work. I was really impressed with the Allotment's re-branding of the charity which you can see some of here. I think the designs pull on all the right heartstrings. The look, feel and tone of voice allows the charity to turn up the volume of emotion depending upon the audience and our desired response. 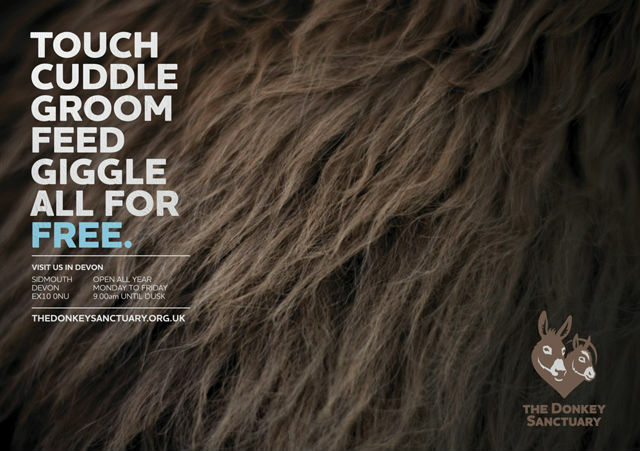 At one point, the branding might be used to introduce the audience to a distressing advertisement that brings home the reality of mistreated animals. 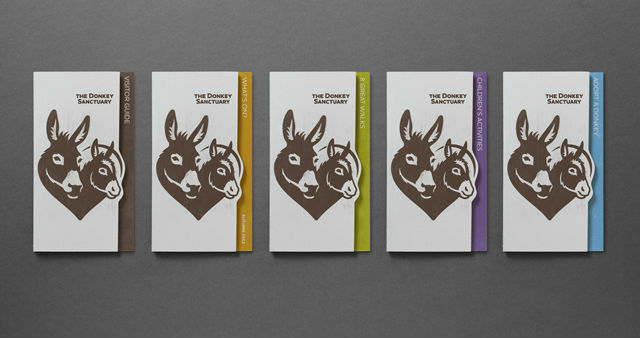 At another point, the same branding is used at The Donkey Sanctuary to welcome guests whose engaging experience on site could lead them to adopting one of these lovable creatures. 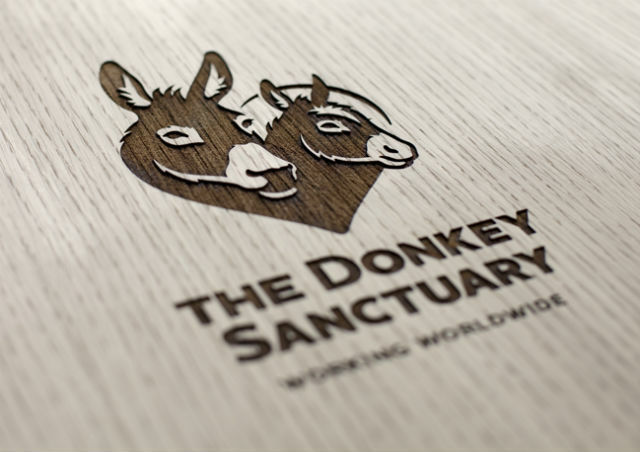 The Donkey Sanctuary sometimes comes in for criticism for securing more funding and support than various human focused charities. Needles to say care and compassion know no limits and the comparison is spurious. I suspect the re-brand will only help the charity communicate its vital work better and hope it does. You can read more about the process and strategy for the re-brand in an excellent case study on the AIGA site. 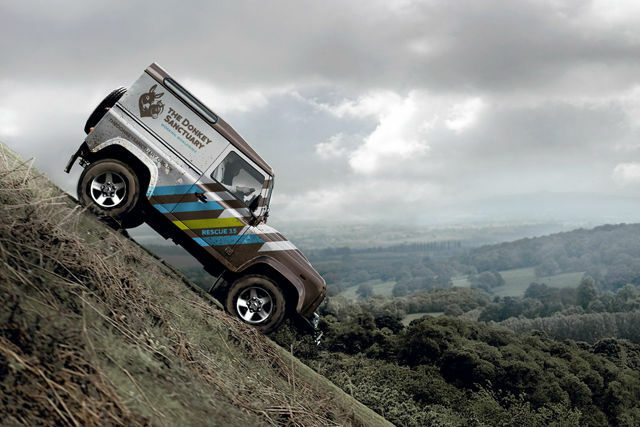 A poster brings the emotional qualities of the new brand to life. 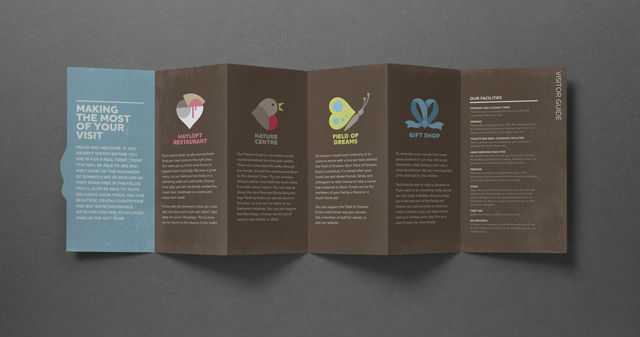 The inside of the leaflet reveals icons which direct visitors to different attractions within the sanctuary. 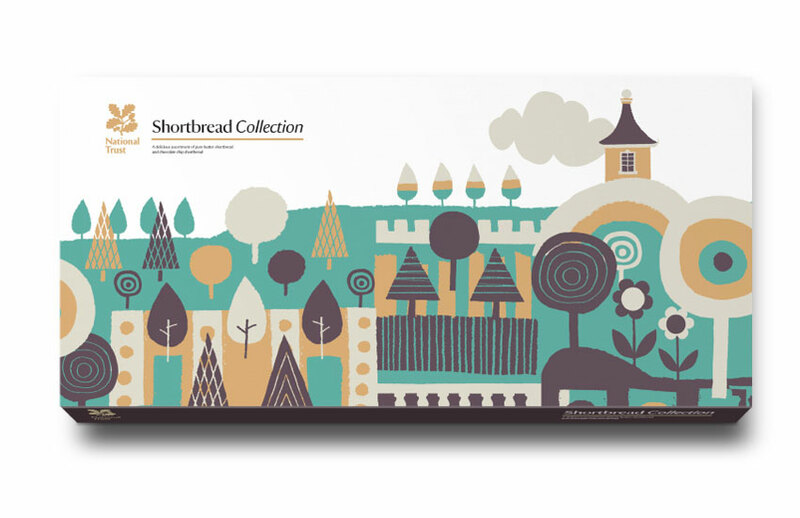 The agency designed a number of items for the charity's gift catalog such as the tea towel. The t-shirt on the left is worn by staff. I’m a big fan of the TV show Sesame Street and of Sesame Workshop the non-profit organisation behind the show and all its other shows and projects that together have become a worldwide educational phenomenon, reaching millions of children in more than 150 countries. Sesame Street harnesses the power of television and now other media in the service of young children’s learning. It delivers important knowledge of literacy and numeracy along with crucial lessons about health, emotional well-being, and respect and understanding to help kids grow up healthy, happy, and at home in their world. So I was really interested in a case study on theAIGA website that looked at the process of developing an interactive story board for the offices of the Sesame Workshop. 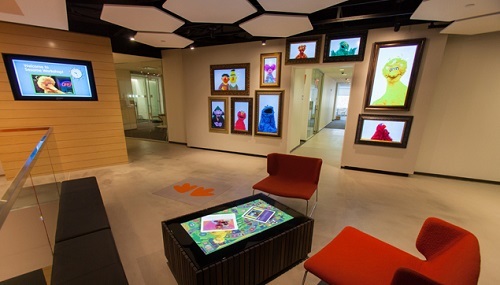 Sesame Workshop were looking to create an interactive table at their New York City headquarters that quickly communicated their mission and diverse programs to visitors. The challenge was how to communicate these concepts to visitors and take advantage of the table as a digital canvas. I liked reading about the agency Second Story Interactive Studios process and seeing the drawings that accompanied the different stages. The characters of Sesame Street itself were a major source of inspiration. In a 1969 video pitch to PBS, before the show was established, Kermit and Ralph brainstormed ideas for the show title and came up with “Sesame Street,” based on the magical phrase “open sesame” from Ali Baba and the Forty Thieves. This name suggests a place where doors open to a treasure-filled room. The motion and interactive designs were intended to reflect this idea of an environment filled with surprises and I think they capture it beautifully. A video of the final interactive is available here. St. Louis Public Library 2012 Grand Reopening Video from TOKY on Vimeo. December 9, 2012, marked the grand reopening of the magnificent Central Library in downtown St. Louis, an exciting moment in the St. Louis Public Library Foundation‘s $70 million Central To Your World Campaign. This video, screened for the first time at the Foundation's Central to Your World Gala in November, celebrates the moment. The video's a very eloquent and frankly beautiful testament to the importance and potential of books, reading and libraries. It's also put St. Louis on my map of places to visit. Illustration by Ma + Chr. I love the sense of possibility inherent in the start of a new year and feel particularly excited about 2013. I'm working on a number of projects which have been brewing for a while, some for a very long while, but all of which are entering new and very promising stages in their development, which is very exciting. During my much needed and rather brilliant end of year beach holiday, I've been reading Gretchen Rubin's 'The Happiness Project' - an account of the year she spent test-driving the wisdom of the ages, the current scientific studies, and the lessons from popular culture about how to be happier. I've realy loved her combination of reseach, anecdotes from personal application and practical suggestions and advice about how to aplly some of the techniques on the book. Its certainly improved the formulation of my resolutions for 2013, the first of which is to develop my own set of personal commandments. Education is critical for all children, but it’s especially urgent for the tens of millions of children affected by emergencies, be they man-made or natural disasters. Yet, for millions of children affected by disaster and crisis, the right to education remains an unfulfilled promise. Historically, education was seen as part of longer-term development work rather than a necessary intervention in emergency response; humanitarian relief typically involved the provision of food, shelter, water and sanitation and healthcare. However, with the average conflict lasting ten years and families remaining in refugee or internally displaced person (IDP) camps for an average of 17 years, it’s clear that education cannot wait for more stable times and that the failure to prioritise education in humanitarian response renders entire generations uneducated, disadvantaged, and unprepared to contribute to their society’s recovery. A growing body of evidence on education’s life-saving and life-sustaining role has resulted in a change in those beliefs, which has seen education increasingly being included in the planning and provision of humanitarian relief. 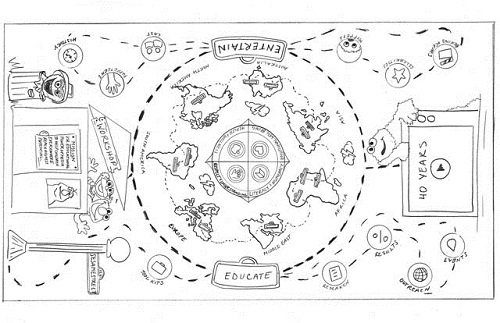 Education has its own ‘cluster’ just like other areas that are important in an emergency, like water and healthcare. The cluster brings together organisations working in that area to co-ordinate their response to the emergency. Save the Children co-convenes the global education in emergencies cluster with UNICEF. Despite some of the changes, education receives the smallest share of humanitarian funding. In most crisis situations around the world this leaves the vast majority of children caught up in emergencies without an education. Save the Children has been working hard to increase the funding available to education in emergency situations and we recently helped secure two major breakthroughs. Last month at the Global Partnership for Education’s (GPE) board meeting at UNESCO in Paris, the GPE decided to make some of its funds available for educating children affected by emergency situations. For the first time, the world’s only global fund for education will be able to rapidly support interventions for children struggling to continue their education during and immediately after emergencies. This is very good news for the Global Partnership for Education, which was founded ten years ago to support education in high-performing countries and in recent years has been criticised for not supporting education in humanitarian contexts and fragile states, where almost half the world’s out-of-school children live. But I’m delighted to say that the GPE has been evolving and with this recent decision it has clearly embraced its new vision of helping educate all children, including those who through no fault of their own are caught up in emergencies. In a separate development Jose Manuel Barroso, the President of the European Commission announced that the European Union’s Nobel Peace Prize money will fund four projects under the EU Children of Peace initiative including Save the Children’s work to help educate Somali refugee children in Ethiopia. And to top it all off, the EU’s initiative will not be a one-off action, instead new funding will be made available next year for more projects in support of children in conflict. Both of these moves represent a sea change in donor funding for education in emergencies. Save the Children will be doing everything we can to ensure that both decisions are the dominoes whose fall will lead to other donors recognising the importance of funding education during emergency situations, alongside other life-saving and life-sustaining activities. I recenly commissioned a series of illustrations for a project that I'm working on. They were done by the extremely talented Penelope Dullaghan. 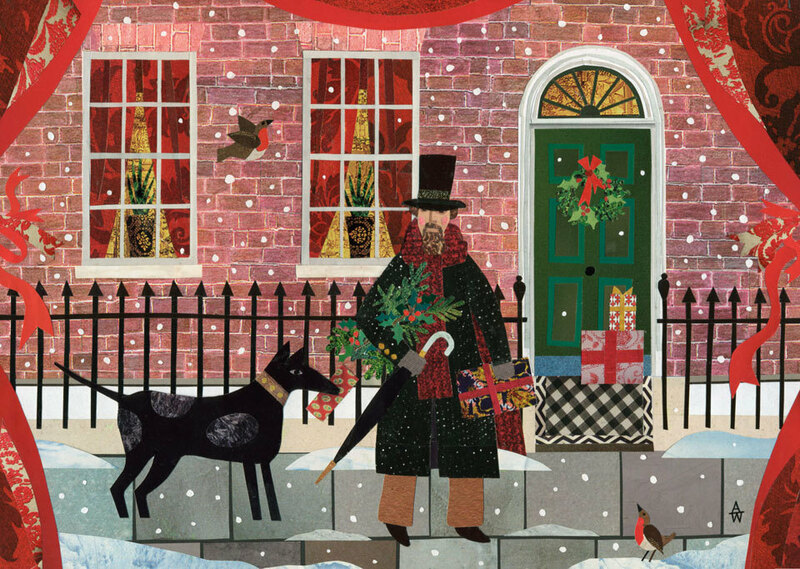 It's a bit premature because they still need to be incorporated into various communications products. However, I was so pleased with them I thought they deserved to be shared. Last week two of the UK’s most eminent persons, Archbishop Rowan Williams and former Prime Minister Gordon Brown echoed Save the Children’s long standing call for education to be put at the heart of the humanitarian agenda. The Archbishop and Gordon Brown, who is now the UN Special Envoy for Education, were speaking at an event hosted by Archbishop Williams at Lambeth Palace on education for children affected by armed conflict. Of the 61 million children currently not accessing education, 40% live in fragile and conflict-affected states. For these children, it’s not just the challenge of being able to access decent education – in many conflict situations they also face the trauma of attacks on their schools. The conference subsequently identified priorities for the protection, prevention, monitoring and recovery from attacks on education, along with the need to close the global funding gap for education in conflict-affected states. I was delighted to speak alongside the Archbishop and Mr Brown about the persistent challenge of providing education during and immediately after armed conflict. I was also able to share examples of success from Save the Children’s own work, including our work in Afghanistan and South Sudan, which are both detailed in our recent report Breaking the Cycle of Crisis. The discussion also reflected on the role of faith communities in education and child protection in situations of conflict and how these needed to be integrated into the wider humanitarian response. In such contexts, faith groups are often at the frontline in continuing to deliver education services, even in the midst of conflict. 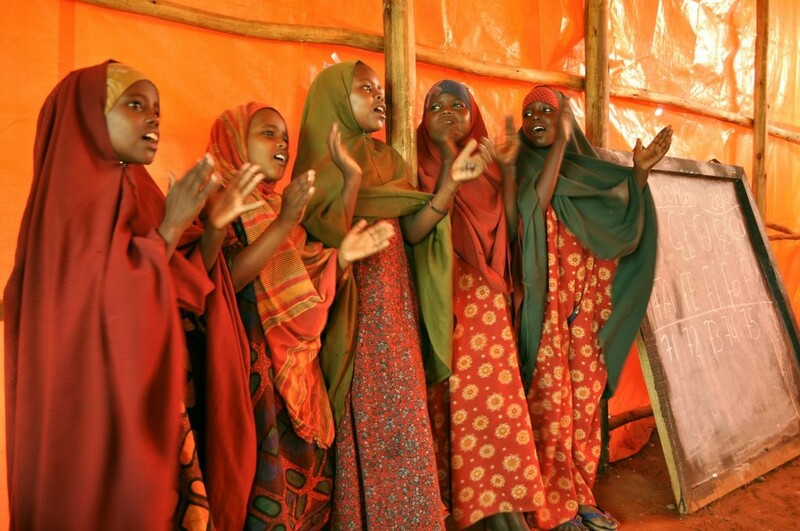 Because such faith groups remain present in communities before, during and after periods of armed conflict, they remain committed to providing education. Many faith leaders already act as advocates for education within their communities and nationally. Listen here to the Archbishop’s opening remarks and concluding remarks from the conference. A range of recommendations proposed by speakers at the conference echoed Save the Children’s calls on the international community to prioritise the education of children affected by conflict and we’re looking forward to collaborating with participants in the conference in future efforts to help ensure all children have the opportunity to learn. Violent conflict is one of the greatest development challenges facing the international community. Beyond the immediate human suffering it causes, it both causes poverty, inequality and economic stagnation and makes all these things worse. Children and education systems are often on the frontline of violent conflict and suffer enormously. Almost half of the 61 million of the world’s out-of-school children live in fragile states with weak institutional capacity, poor governance, political instability and in many cases, ongoing violence or the legacy of past conflict. One child in three in conflict-affected fragile states does not go to school, compared to one in 11 in other low-income countries. Secondary school enrolment rates are nearly a third lower than in other developing countries and far lower still for girls. Girls in conflict-affected fragile states are also often the victims of sexual abuse and violence. Since 2005 Save the Children has dramatically scaled up its education delivery in more than 20 conflict-affected fragile states as part of our global Rewrite the Future campaign, which ran until 2010. Through Rewrite the Future we set out to make the case for increased funding for education in these places and to demonstrate that large-scaleeducation interventions could in fact be delivered in these challenging settings and that even children in countries beset by conflict and fragility could go to school. We now have a lot of experience of supporting education in conflict-affected fragile states and are committed to using it to improve our ongoing work and to share it with other organisations working on the issue. Breaking the Cycle of Crisis: Learning from Save the Children’s delivery of education in conflict-affected fragile states is our latest publication drawing on that experience. It presents expert synthesis of and reflections on four research based evaluations of Save the Children’s work to improve the quality of children’s education in Afghanistan, Angola, Nepal and South Sudan. Basic education in the four countries displayed common features resulting from conflict, such as physical destruction of infrastructure, negative impact on access, retention and learning outcomes, damage to the teaching force, as well as exacerbation of gender inequity. However, the diverse reasons for conflict, the way conflict affects populations and the continuing legacies of war have generated different responses with regard to current and future schooling. poor outcomes from some teacher training. And finally the report sets out a series of policy recommendations which on the basis of our experience we believe are important to improving education in fragile and conflict-affected settings. The issues that we faced in all four countries represent complex challenges, but Breaking the Cycle of Crisis shows that it has been possible for Save the Children to improve access to education for 1.6 million children, develop strategies for better child protection and safety at school, improve the quality of teaching, and increase attendance and learning outcomes in schools we’ve supported in four very specific conflict-affected fragile states. Much still needs to be done and Save the Children remains committed to investing our own funds and energy in education in conflict affected settings. We hope that this synthesis of our experience will both inspire and challenge others to join the cause. I loved this film from the Bikes for People, the US’ national bicycle movement. They’re asking people to sign a simple pledge in support of bikes and cycling and this little video was part of their promotional efforts. I am for bikes. I'm for long rides and short rides. I'm for commuting to work, weekend rides, racing, riding to school, or just a quick spin around the block. I believe that no matter how I ride, biking makes me happy and is great for my health, my community and the environment we all share. That is why I am pledging my name in support of a better future for bicycling—one that is safe and fun for everyone. By uniting my voice with a million others, I believe that we can make our world a better place to ride. Which sounds like a very good pledge to take to me. So good that its inspired me to join the London Cylcing Campaign, my home town equivalent of Bikes for People. In fact I'm rather embarassed that I have't already. I commute to work daily on my bike and know cycling makes my life better. And like the pledge says I know that together we can make our world and my city a better place to ride. On a more policy related note the campaign plans to encourage people who make the pledge to lobby their representatives to increase federal investment in bike infrastructure. At the start of another year, like most of us, I’m thinking about the last twelve months and what I want for the coming year. My partner and I joke about our recurring resolutions: to learn a new language and go to the gym. We’ve dropped them from our lists but still harbour a secret desire to accomplish both. The fact that like almost everyone I know, I find myself voicing the same wishes, hopes and fears for the year ahead as I have every year I remember is not necessarily a bad thing. I suspect it points to the things of importance and value which endure, like our desires for friendship, health, happiness and new experiences. Despite my consistent failure to get to the gym and master new languages I’m lucky enough to have all of these things in abundance and feel the utmost gratitude to the people and circumstances which have and continue to make that possible. So I want to share my appreciation and gratitude for all the experiences and opportunities I have in 2011. I’ve got lots of aspirations for 2012 but they’re not developed enough and I’m not confident enough to share them here. Suffice to say that if the more public ones come to fruition I’ll share them here. The illustrations I posted at the start of this post were by the amazing and much loved illustrator Quentin Blake whose work I adore. He’s a supporter of Survival International and produced the cards for them to sell. Survival was founded in 1969, following an article by Norman Lewis in the Sunday Times Magazine about the genocide of Brazilian Indians. Since then Survival has been helping tribal peoples protect their lives, lands and human rights and deserves widespread support. Some good news, in the last ten years significant progress has been made in increasing the enrolment of the world’s out of school children in primary education. Since 1999, the number of children not enrolled in primary school has fallen by 39 million. Even in the poorest countries, primary school net enrolment ratios have increased from an average of less than 60 percent in 1990 to over 80 percent in 2008. However, we shouldn’t let these gains mask the enormity of the challenge that still lies ahead and the unfinished global agenda of providing good quality education to all the world’s children. And unfortunately the bad news is that there are still 67 million children who don’t get the chance to go to school and we need to do everything in power to help them to do so. And alas it’s not as simple as getting all these kids into school, we also need to do more to ensure that when they get to school they actually learn something. Unfortunately many children who go to school across the developing world fail to acquire the most basic skills, including crucially, the ability to read and write. Across sub-Saharan Africa, a child with five years of education has a 40% chance of being illiterate and in Mali, Pakistan, and Peru, more than 70% of children in the primary grades cannot read at grade level. Being able to read is the foundation of future learning and is both a survival skill and route to further advancement. People who can read enjoy better health, make more money, create safer and more stable democracies, and serve their communities more effectively. Drawing on lessons learned from reviews of children’s reading skills in nearly 50 developing countries worldwide, Save the Children led by our colleagues from the United States created Literacy Boost. Literacy Boost has three pillars: assessment, teacher training and community action. In all the places where Literacy Boost has been implemented which includes Pakistan, Nepal, Malawi, Mozambique, Zimbabwe, Uganda, Mali and Ethiopia, the programme has seen huge gains in children’s reading skills and ability. On a recent trip to Ethiopia I had the opportunity to visit schools where Literacy Boost was being implemented. The teachers were among the most knowledgeable and confident I’ve seen. They were using interactive methods to teach letter recognition and all their students were thoroughly engaged. They’d also produced lots of material for their classrooms including alphabets and word cards which they were using to support their teaching. It was clear that these teachers and their students were part of a global revolution the aim of which was to ensure every child leaves school able to read. I couldn’t think of a better and more transformative goal and will be doing everything I can to help make it happen. A version of this post was originally published by Save the Children. Last week in Copenhagen, representatives from 52 countries committed substantial resources that will help to transform the lives of millions of children. They were meeting at the first-ever replenishment event for the newly named Global Partnership for Education. Donor governments pledged an initial $1.5bn for the multilateral Global Partnership for Education. At the same time, developing countries attending the event promised to raise domestic basic education spending by more than $2bn. Leading up to the pledging conference I voiced concerned that we’d see a sharp downturn in bilateral funding for education. While this remains a concern in some countries, five leading donors – France, the European Commission, Germany, Australia and the UK – have reversed this trend and promised significant increases in their bilateral support to education. I was particularly proud of the role played by the United Kingdom at the event which became the Global Partnership for Education’s single largest donor. In addition to a financial commitment of £150 million, the UK’s Parliamentary Under Secretary of State for International Development, Stephen O’Brien, outlined the UK’s broader commitment to closing the global education gap, especially for girls. The UK’s investment in the Partnership makes sense. Over the next three years, the funding received by the Global Partnership for Education in Copenhagen will help put 25 million children into classrooms for the first time, train 600,000 new teachers, and significantly reduce illiteracy for primary school aged children. Education is vital for child and maternal health – and the long-term impacts of Global Partnership’s support during this period include saving the lives of 350,000 children and 14,000 mothers. I was also really proud to represent Save the Children in Copenhagen and to be able to share our aims for education over the next three years. support the acquisition of early-grade literacy skills for more than 550,000 children benefitting from Save the Children’s Literacy Boost. Between 2012 and 2014 some 35 million children and their adult teachers and carers will benefit from our education work. The value of our work over the period will exceed $1 billion. We’re able to be this specific about what we’ll achieve because we’ve developed systems to track our contributions and their impact. “In Copenhagen, we saw a transformative outcome for the world’s children to which Save the Children has made a vital contribution,” said Carol Bellamy, Chair of the Global Partnership for Education. “Without education, our efforts to save lives, empower women, grow economies and promote stability will fail in the long run. Developing country leaders understand this and today promised to significantly increase domestic education budgets,” she said. “Leading donors answered the call by raising their bilateral commitments and kick-starting multilateral financing for the Global Partnership for Education. And civil society, including Save the Children have shown how they intend to support practical action for children and grow the public support for and political commitment to education,” said Carol. The funding committed at the event together with the broader efforts outlined by donor and developing country governments still falls short of the resources and action required to get all of the world’s children into school. But it lays a solid foundation on which to build. And build we will.